Assoc. Prof. Ralitsa Berberova, PhD has been acting Head of the Department of Natural Sciences since its establishment in 2013. She was acting Head of the Department of Earth and Environmental Sciences in 2012 and director of the master’s degree program “International alternative tourism” – regular and distance form of education (2005 – 2012). She is also director of the Laboratory for natural disasters and risks at the School of Undergraduate Studies and the Department. She is a member of the faculty councils of the School of Undergraduate Studies and the School of Distance, Digital and Continuing Education and has participated in different committees at the School of Graduate Studies. She lectures in the areas of natural disasters and risks, environmental management, and alternative tourism. Assoc. Prof. Ralitsa Berberova, PhD completed her undergraduate and graduate education at NBU – she has a Bachelor’s degree in Ecology (2004) and a Master’s degree in International Tourism with a major in Alternative Tourism (2005). From 2005 to 2008 she was a regular PhD student on a scholarship at the Department of Earth and Environmental Sciences and wrote a dissertation in the field of natural disasters and their prevention. She became a PhD in 2009. Assoc. Prof. Ralitsa Berberova, PhD is the author of more than 50 scientific publications and textbooks. In 2012 her monograph “Natural disasters in Bulgaria – present state and tendencies” was published, which presents her work during the last few years, as well as the outcomes of various researches conducted in the Laboratory for natural disasters and risks. She participates regularly in international and national science conferences and symposia. 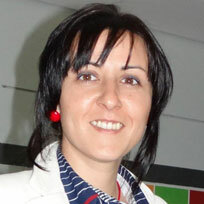 She is a supervisor and participant in numerous national, international and university projects.